The Chronoswiss Grand Opus Chronograph Skeleton was introduced at Baselworld last month. 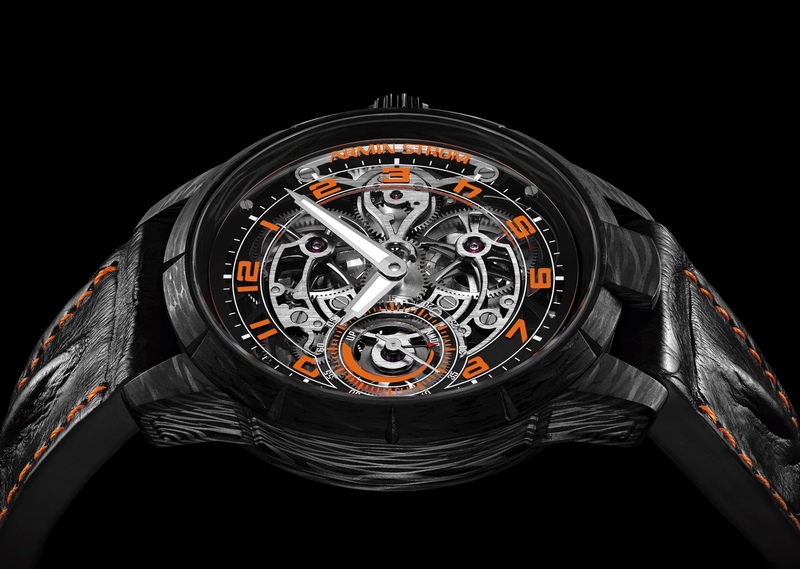 It is powered by a custom skeletonized version of the Valjoux 7750 automatic mechanical chronograph movement. The stainless steel case is treated with a hard DLC (Diamond Like Carbon) coating that is fully polished. The caseback is clear and allows a nice view of the movement, however, the dial side is where the view’s at. The dial is open worked and offers a great view of the movement. The black, red and white color scheme on the dial and the DLC case will appeal to those who want a sportier looking watch, while retaining the signature styling elements of a traditional Chronoswiss timepiece.